Art Garfunkel is a highly acclaimed singer, musician, poet and actor best known for being the one-half of the 1960s folk-rock duo Simon & Garfunkel. He is widely regarded as one of the most instantly recognizable and iconic singers in history. Born in Forest Hills, Queens, New York City on November 5, 1941, his father was a traveling salesman and his mother was a housewife. Garfunkel started singing from an early age and often performed at religious events. He met Paul Simon while performing Nat King Cole’s “Too Young” in a grade school talent show. Together, they recorded a teenybopper hit record “Hey Schoolgirl” and their own rendition of “Tom & Jerry”. Garfunkel was studying architecture and mathematics at Columbia University before he decided to pursue a musical career with Simon. The name “Simon and Garfunkel” was adopted in 1963, and the duo signed with Columbia Records to release their first album, Wednesday Morning, 3 A.M., in October 1964. Although the album was not a critical success, Simon & Garfunkel reached folk-rock stardom when their song “The Sound of Silence” was popularized by renowned record producer Tom Wilson. They eventually became one of the most famous acts of the 1960s and various of their songs, such as “Bridge Over Troubled Water,” “Scarborough Fair” and “America”, are still very popular on classic rock radio stations. Simon & Garfunkel were honored with five Grammy Awards between 1968 and 1970, including Record of the Year and Album of the Year. Their work on the soundtrack of the 1967 film The Graduate gained many favorable reviews. Art Garfunkel’s high harmonies, occasional lead singing and arrangement ideas were vital to the success of Simon & Garfunkel. When he started to grow interest in film acting, the duo parted ways. Garfunkel has recorded occasional solo albums since. Simon & Garfunkel’s September 1981 reunion concert in New York’s Central Park attracted a huge audience of at least half a million fans. They duo has toured together several times since. 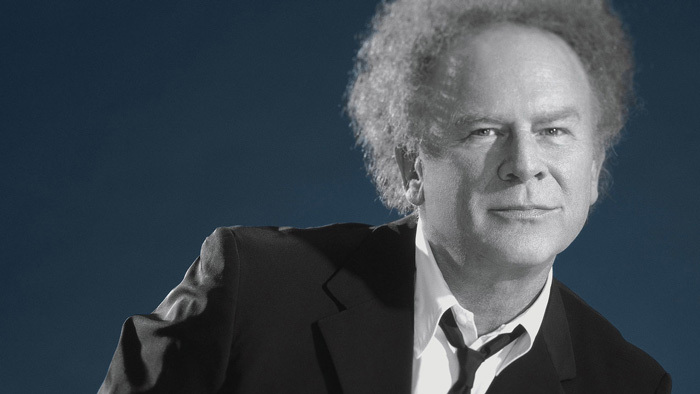 Art Garfunkel won several Grammys and other accolades for his work with Simon & Garfunkel. He also won the 1980 People’s Choice Award for his acting performance as Dr. Alex Linden in Nicolas Roeg’s Bad Timing (1980). Art Garfunkel released Still Water, his collection of prose poetry, in 1989. He has also appeared in a number of movies, including Catch-22 (1970), Carnal Knowledge (1971), Bad Timing (1980), Good to Go (1986), Boxing Helena (1993) and The Rebound (2010). Garfunkel married Linda Marie Grossman, an architect by profession, on October 1, 1972. The couple divorced in 1975. He met former model Kathryn Cermak in late 1985. They married on September 18, 1988. They have two children, James (born December 15, 1990) and Beau Daniel (born October 5, 2005).